Hyundai motor company is one of the worlds largest automotive manufacturer. The company recently unveiled the worlds first walking car - Hyundai Elevate concept at CES 2019. 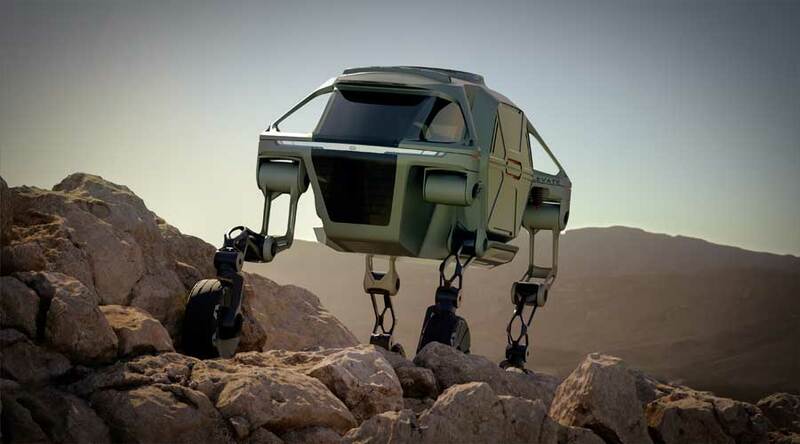 Hyundai calls it the Ultimate Mobility Vehicle (UMV). The Hyundai elevate concept is specifically designed for tackling natural disasters like Tsunami, Earthquakes, and cyclones. In the event of natural disasters, this vehicle can drive, walk and climb over any kind of terrain. 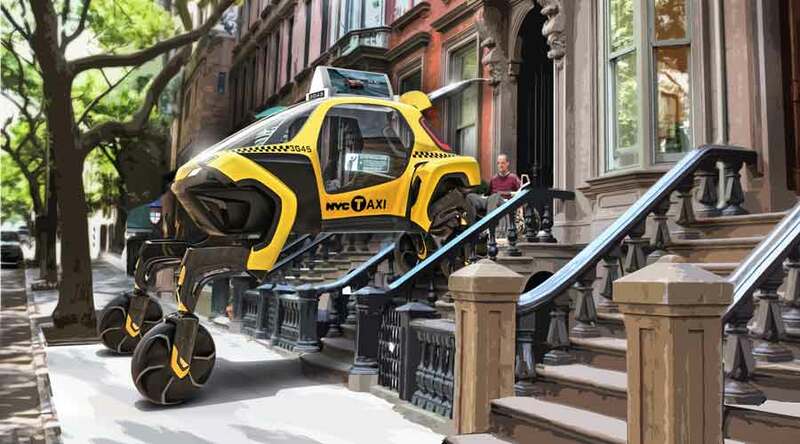 The robotic legs with wheels help to tackle difficult terrains like the building debris or even steps in a building. The first 72 hours in any natural disaster are very critical. Most of the time, the help and rescue workers get stuck mainly because of obstacles on the road. So, we need efficient and fast transportation specifically for the people who are in need of immediate medical attention. So, Hyundai came up with new technology that blends electric vehicle and robotics in one car. This UMV has legs; so it can pass through difficult terrains. These terrains are difficult to conquer for most capable SUVs till date. The design of the vehicle is entirely done by keeping disasters in mind. The entire vehicle has a modular EV platform. Thus, you can switch to body shape according to the need of the situation. The robotic leg architecture has five-degree freedom of movement and it also has wheel hub propulsion motors. This specific design helps to move or walk in any direction. Hence, it is capable of having movements of both mammalians and reptilians. In addition, it can perform well on highways. The legs of Hyundai Elevate concept can fold up in drive mode. As a result, it can attain the highway speeds like any other vehicle. The vehicle's versatile nature opens new doors in mobility. The combination of articulating legs and wheeled motion brings immense new possibilities like helping the disabled to get into the car. Furthermore, we can achieve dynamic driving postures and faster walking speeds. Elevate can drive to the scene and can climb on crumbled concrete or over the flood debris. John Suh, Vice president, Hyundai. The unique combination of robotics and Hyundai's latest EV technology brings paradigm shifts in our perception of vehicular movement. So, you can go to places where no other car had gone before. Hyundai elevate has one the best engineering features to tackle the rough terrain comfortably. The omnidirectional propulsion brings immense flexibility in its movement. The in-wheel motion with robotic legs is a unique combination to tackle difficult terrains. In addition, it can step over a five-foot gap and climb over the five-foot wall. We can't see such flexibility of movement in any current vehicle. The motors can't drive backward; so you can lock its legs at any position on any gradient. The modular vehicle platform has its unique benefits like the change in body shape as per demand and necessity. In conclusion, The Hyundai elevate concept will altogether change the concept of travel and our way of dealing with natural disasters.